The prevention of cardiac diseases by monitoring the heart conditions via cardiac biomarker testing is the profound approach for obtaining rapid results for immediate diagnosing and treatment. Cardiac biomarkers are protein-based traceable substances used as an indicator of biologic state and used for diagnostic and prognostic purposes associated with heart. Cardiac biomarkers are used as risk stratification for various cardiovascular diseases (CVDs), which include myocardial infraction, congestive heart failure, acute coronary syndrome (ACS) among others. The cardiac biomarkers that are widely used as an integrated diagnostic approach for CVDs include CK-MB, troponin I and T, myoglobin, BNPs, IMA and few others. Cardiac biomarkers market has witnessed a greater demand over the past five to six years. Ability of cardiac markers for accurate and rapid prediction of heart failure after the onset of chest pain has added boost to the market growth. In addition, promising features such as high accuracy, quick outcomes and economic pricing of cardiac point of care (POC) testing is driving the growth of cardiac biomarker market, globally. To keep the momentum of cardiac marker tests, the key manufacturers offers customized solutions. The commercial application of multi-menu options for cardiac testing using different combinations of cardiac biomarkers and target-oriented solutions are the key opportunities of the market. However, limited specificity in some cases and side effects such as skeletal muscle injury is restraining the growth cardiac biomarkers markets. The Global cardiac biomarkers market is segmented based on type, application, location of testing and geography. Based on cardiac biomarker type, the market is segmented into Creatine Kinase (CK-MB), Troponins T and I, myoglobin, BNPs, IMA and others. Troponins I and T are the highest revenue-generating segment in the overall cardiac biomarker market due to its prodigious specificity and its ability to accurately detect the cardiac events of Acute Coronary Syndrome (ACS). Based on application, the market is segmented into myocardial infarction, congestive heart failure, Acute Coronary Syndrome, atherosclerosis and others. Myocardial infarction (MI) holds the highest market share in the global cardiac biomarker market followed by Acute Coronary Syndrome (ACS) due to the highest prevalence rate among cardiovascular diseases (CVDs). The location of testing segment is classified as point of care testing and laboratory testing. Doctors and clinicians largely prefer point of care cardiac testing for quick monitoring patients with chest pain in an emergency care unit, therefore, accounting the fastest CAGR. However, laboratory testing is generating larger revenue in comparison to point of care testing. Based on geography, the global cardiac biomarker market is segmented into North America, Europe, Asia-Pacific and LAMEA. 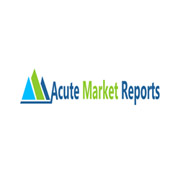 North America leads the global market, owing to the high demand for cardiac testing, high CVD prevalence rate and growing awareness towards cardiac diagnostics solutions. Asia-Pacific is growing at the fastest CAGR due to the modernization, increasing disposable incomes and rising affordability for the advanced cardiac treatments.